Dreadlocks Creation DA-CH Search - Where can I get dreads? Are you looking for a professional and natural dreadlocks creation, care or dread extension in your city or surrounding area? » Where do dreads? » Who can have dreads? » Dreadz matted » felting » Length of the hair ... » hair extension » Which hair is better? » Dread Dyeing? » How often do dreads wash? » How to wash dreads? » Dreads and itching » The lace felted » Shortens my hair / dreadlocks? » Showers or swim » Jewelry for dreadlocks » Bald cut? "Where do you make dreads best? The dreading of European hair is not as easy as it is stated in many manuals. Once done, you can not change the size, style, number and arrangement of the dreads. Hair stylist: Expensive, impersonal, working with permanent wave solutions and other chemicals, has no training and little or no experience in creating dreadlocks. Unfortunately, the dreads usually last no more than a month without the need for continuous, usually expensive post-treatment. Afroshop: Employees / owners of afroshops work with dread wax. Unfortunately, in many cases, the dreads do not last longer than two weeks. The creators of the dreads have no experience with European hair and work neither with the backcombing method nor with the overhead method. Most are divided only by means of a lot of dread wax strands and advised the customers for months to wash them. Save your money! friends: To try it yourself or with friends is an experiment that can take 30 hours or more. Be brave and try yourself, but please keep in mind that these dreads will often be a bit shorter than professional dreadlocks. 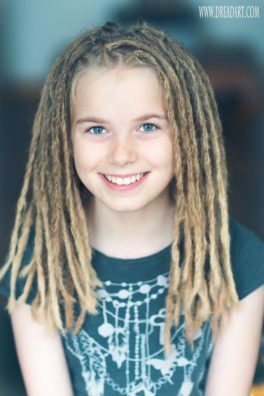 In addition, you should pay attention to the arrangement of the dreads and a uniform arrangement on the head - A detailed guide to make yourself of dreadlocks can be found at the end of this text. 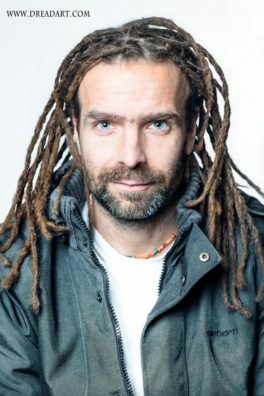 From the professional: Just search in your area (city) in our database yours Desire dreadlocks maker and you save yourself such a too expensive, unsightly, with wax or false (not professional) Dreaderstellung. "Is it possible to make dreadlocks from any hair type? It is possible to do and to keep dreadlocks in any kind of hair. Although it is easier to dreadden curly hair than smooth, but the desire of dreadlocks, even with straight hair, nothing stands in the way. A small additional expenditure on care makes a disadvantageous hair type good again. "Are the dreads already matted after the dreading? The twisting of the hair is only the beginning of a long process. The matted, crocheted or waxed highlights will only become "real" dreads over time. The better, the more expert and firm the dreadlocks have been created, the faster they will be felted. A few months should be calculated - and a lot of work. Because it's up to you if and how much you care about your new dreads. Consistent grooming tremendously speeds up the dreading of the hair and ensures that the dreads look nice later. 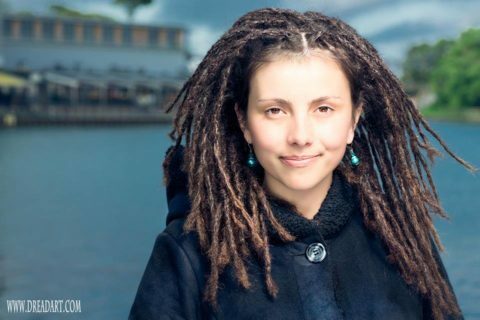 »How long does it take for dreads to become matted? It can take a few months to a year for the hair to be completely matted. the more time someone spends on crocheting his dreads, the faster they will be felted. curly, dry and or damaged hair matt faster than healthy hair. Dreadlocks created with the crochet method are better than those made with wax or chemistry. "How long should my hair be to make dreadlocks out of it? Theoretically, you can dread any hair type with a minimum length of about 10 cm. In practice, short dreads are a lot more caring than longer dreads. Consequently, it is not advisable to dread straight healthy hair at 10 cm only if there is no prior knowledge and little time to crochet and rub. By contrast, people with frizzy, thin hair can begin to dilate their hair without hesitation at about 10 cm. Hair extensions with real hair allow in many cases the direct jump to the desired hair length. "Do dreadlocks with a hair extension? If you can not be patient and would like to have long long dreadlocks immediately, then it is possible to achieve this by means of a hair extension. The hair (real hair) can either be attached directly to the hairline and be felted with. If your dreads grow, they will be a lot thinner. The result often looks very unsightly after two years. Alternatively, the real or synthetic hair can be used to make from short (at least 10 cm long) hair handsome long dreadlocks. For this purpose, the existing hair is gedreaddet and the additional hair used to realize the desired lands of dreadlocks. 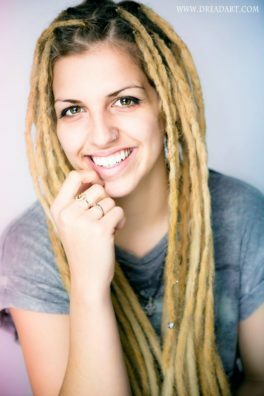 »Which hair type is good or better for dreadlocks? Thick or thin hair? Really important is not what kind of hair you have, but how well the dreads were made. Fuzzy, thin and or damaged hair matted faster, but it is by itself not a guarantee for shapely dreadlocks! Afro-shops, hairdressers and lay people do not usually have the necessary skills and methods to dilute hair efficiently and permanently. »Can I dye or bleach my dreads? Dreadlocks can be dyed or bleached at will. Although you need less time and products for normal hair, there is nothing in the way of changing the color of dreadlocks. If you want to lighten or whiten your hair, you should be careful. Dreadlocks may break off if too much of the product used is applied in too short a time. Tip: Better to lighten a few nuances at intervals of two to three weeks. In addition, in any case should be dispensed with the products enclosed care rinses. These can damage the felting of the dreadlocks. Otherwise apply to the dyeing or bleaching of dreadlocks, the clues in the products in each enclosing notes. "How many times can I wash my dreads? Dreads can be washed at will. No shampoo and / or conditioner should be used. At first, many small hairs are released from the dreads by washing. You should therefore spend a lot of time with the Dread care and wash your hair less often. After washing, the dreads should be dried quickly to avoid unpleasant odors. Greasy dreads do not feel good - prefer to wash and crochet more often, and have faster, firm dreads than greasy lumps for months. »What to do for itching and / or dandruff scales? At first it can come to itching. In most cases, this is because you wash your dreadlocks less often than your hair before. The scalp will get used to this circumstance. A regular wash cycle may help to allow the scalp to adjust for Ph value. Always make sure that the shampoo / soap used is thoroughly washed out. Dry the dreads quickly and thoroughly after washing. If the problems persist even after several weeks, the washing product should be changed. Some people do not tolerate curd soap. Totos sea salt shampoo and birch hair from the drugstore can work wonders in your case. "How do I matt my dreadlocks? "Crocheting" the lace is a good way to felt the tips of the dreadlocks. In this method, the end of the dread is folded and crocheted with a crochet hook in the dread. Otherwise, a rubber band helps at the tips, so that they are held together firmly. Another way to matt the dread point is to take the dread one to two centimeters above the point between thumb and forefinger and then begin to move the point in a circle while pressing it firmly on the other palm (palm -roll method). If you want to get the tip as such, you can always felt a little bit. This can either serve a Nissenkamm or the Strähnchenmethode. "Shortening my hair when I have dreadlocks made? Thin, brittle hair loses more length than healthy, thick hair. The highlight method results in less loss of length than the backcombing method. The thicker the dreads in diameter, the shorter they become. As an example: If thin dreads are created from 15 cm long thin, brittle hairs using the suspension method, they will be 11 long. By means of the backcombing method it would be about 9 cm. If the hair were healthy and thick, the length in the first case would amount to 12 to 13 and in the second case to about 11 cm. If in each case thick dreads were to be created instead of the thin one, then each one cm would be deducted from the above information. "Can I shower and swim with my dreadlocks? There's nothing wrong with getting dreadlocks wet (so washing dreadlocks). Initially, when washing and / or swimming always some hair from the dreads solve. The hair should always be dried well afterward and crocheted immediately. If and how often you shower / swim you should depend on the state or your readiness for Dread care. The same applies here: The older the dreads are, the tighter and less intensive the dreadlocks become. In any case you should wash your dreadlocks to avoid bad smells, dandruff and mold. 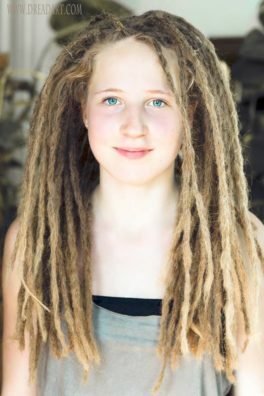 »Can I decorate my finished dreads with jewelry? At any time you can decorate your dreadlocks with jewelry. Whether beads, shells, stones, polymer clay, buttons, colorful ribbons, nuts, ballpoint pens ... there are no limits to your creativity! Just ask your friends to give you such items on certain occasions and bring them back from vacation. "Do you have to cut a bald head if you do not want his dreadlocks anymore? No, as a rule it is possible to comb his dreadlocks out with conditioner after several washes. Up to two years after the preparation, dreadlocks should be completely separated by the use of oils, appropriate rinses and a fine comb or needle. You only need a lot of time and patience.